Our fuel trucks feature 100 gallon gas and diesel tanks, hi- flow pumps, a 50’ hose and 30 gallons of fresh water with a 25 foot retractable hose. 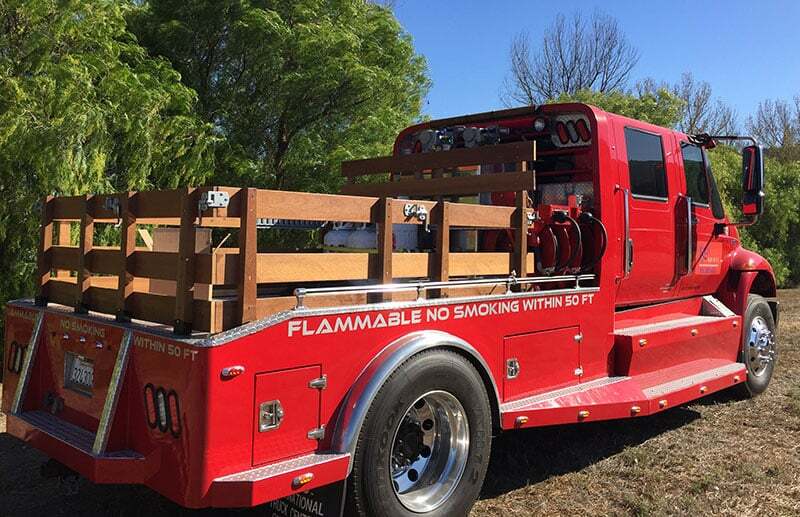 Features also include an air compressor, an aluminum locking tool boxes for storage, exterior lighting, traffic directional light bar, and heavy duty trailer hitches. We supply fuel for generators, stunt vehicles and on site filming needs. Our fuel truck rental fleet are used by Hollywood film studios, TV production studios, construction and development projects and major outdoor events.